In the days of mega phones and octa-core bezel-less glass devices, Palm is going a different direction. The venerable mobile brand is making a return this year, and now, we’ve got our first look at the upcoming Palm Android phone. 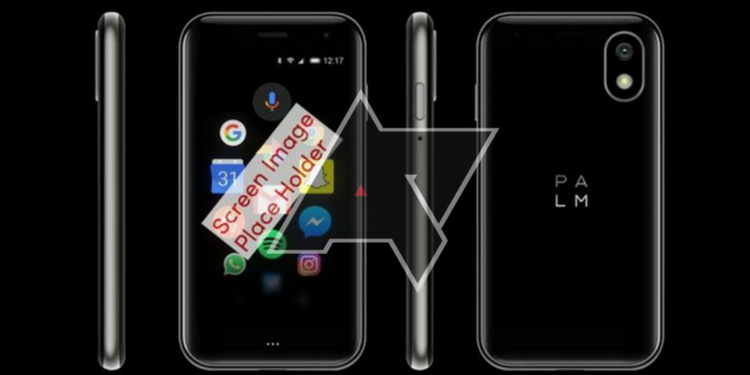 The folks over at Android Police have managed to get their hands on the renders of a Palm device, which is codenamed Pepito. If you take a look at the device below, you will find that it’s a petite and cute device (not exactly appealing, but cute) that could be good for someone looking to buy their first smartphone, or a backup phone. The device you see here sports a tiny 3.3-inch HD LCD screen, with a pixel density of 445 ppi. There don’t seem to be any physical buttons on the front, however, we cannot say for sure if the “three-dots” are hardware or software buttons. There’s only the power button on the right and no volume keys, so that’s confusing as well. As for the camera, TCL (the company who makes BlackBerry-branded phones and is also going to be making the Palm-branded phones) appears to have channeled its inner Apple and taken inspiration from the iPhone X’s vertical camera setup. Further, sources have doled out info on the specs of this device and it is expected to come with a Snapdragon 435 chipset, with at least 3GB RAM and 32GB internal storage. The device will also have a measly 800mAh battery, which doesn’t sound like it would be enough to last the whole day on a single charge. Android Police also reports that there’s no 3.5mm headphone jack on board and Pepito is going to run Android 8.1 out-of-the-box. From all that we’ve read, it seems like TCL is looking to target the budget segment with this Palm device but whether it bodes well for them still remains to be seen. 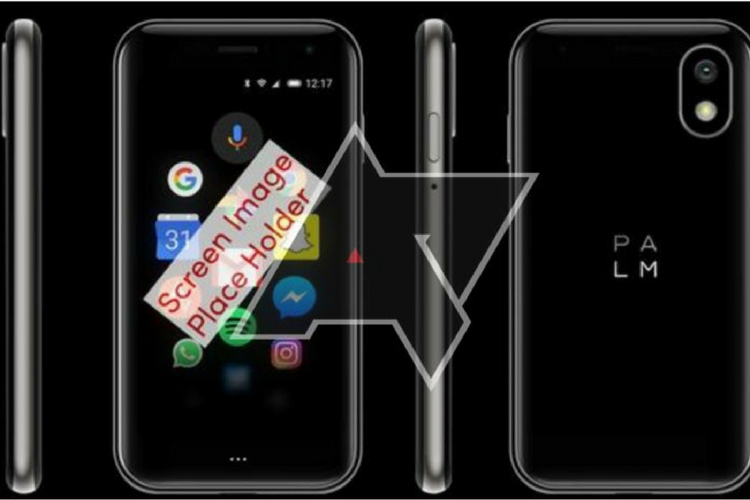 What are your views on this leaked Palm smartphone? Tell us in the comments below.